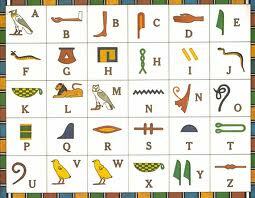 Ancient Egyptian writers depended upon chisels and stone as the medium for their hieroglyphics. I’m sure many of them embraced the advances in technology that introduced other resources for their passions. Yet, I imagine there were some who struggled to move forward gleefully. There was a time when pads of yellow paper graced nearly every table top of our home, patiently waiting for any random thoughts of gibberish to find its way onto a meticulously clean surface. With my companions, a smooth writing pen and lined paper, I delight in sitting cross-legged on my couch or out on the deck, scribbling away with the security of knowing I can rip off a page, crumble it and have a clean slate ready for my next attempt. Much like reminiscing through old photographs, I can pick up a journal or notebook stuffed with pages of deep thoughts, easily revisiting my attempts to imitate Robert Frost http://www.poemhunter.com/robert-frost/ or Erma Bombeck http://www.ermamuseum.org/home.asp. Sometimes, the words I scripted are buried so deep in the recesses of my mind I don’t recognize the words, yet I always know they are mine because of the handwriting. It isn’t that I don’t know the capabilities of the black box that had been assigned its own room in the house for many years. My job required extensive knowledge of numerous, ever-changing, complex programs, including the infamous MS Word. Perhaps the challenges forced upon me daily formed a callous on my brain that makes it too painful to imagine drafting my work on my computer. Seldom did I take the time to store my creations electronically. The few that made it through the final stages of editing onto the complex contraption were lost when the hardware failed. (Thank goodness for my archaic backups!) The thought of composing something while sitting at the keyboard was as foreign the thought of writing a romance novel. So I tried sitting cross-legged on the sofa with the slim blue device balanced on my lap. That lasted about ten minutes before the phone rang and I had to untangle my legs from the wire to get across the room to the phone. What wires you say? The one attached to the mouse of course. Yes, I know others may use the one built into their machine, but using the touch pad doesn’t work for me because I keep resting my thumbs as I ponder my next line. If you have never been gifted in this ability, let me describe what happens next. The perfect words you struggled for fifteen minutes to compose transform themselves into paragraphs and sentences for which they were not intended. The time it took to find and edit them is just long enough for the thought to pass and there you sit staring at the screen again. I fixed the problem by disabling the gizmo – ok, I had to have help with that too. I often found myself reverting back to paper and pen. It wasn’t until I decided to write my first novel that I considered the time-consuming effort it would take to write a 50,000 word manuscript and then transpose it onto the computer. One day, after much deliberation, I relented and established a work zone in my dining room where I began typing and editing the dozens of pages I had written before coming to my senses. I opened the French doors leading onto the deck and felt a delightful breeze drift in. The chirp of a nearby cardinal provided for an opportunity to procrastinate and it wasn’t long before I ventured out onto the deck with all tools in hand. My fairybook visions of spending the next few hours accomplishing great things dissipated in seconds. The gentle wind turned into a gust and blew my stacks of paper high into the sky. With arms flailing, I scrambled urgently to retrieve the papers in flight for fear of a neighbor stealing page 10 of a best seller. Once I even tried taking my laptop on a daytrip to the river where my husband docked his boat. He often liked to visit for hours with a friend who lives there. What a great opportunity, I thought. I’ll be inspired as the river carries barges through the lock and dam. Surely a poem or some type of masterpiece was waiting to find its way into my laptop. I proudly headed to the lovely swing where I had often written in my small journal. I shifted the mouse and pad from my leg to the bench of the swing. I tried numerous positions to no avail. I decided to remove the accessory and use the touchpad. Try as I might, I could not remember the sequence of steps my friend had shown me to reactivate the function. By the time I successfully retrieved the info from my wary brain, the battery died on the laptop. I bit my lower lip to keep from screaming and quietly closed the lid and stood up, dropping the mouse and pad at my feet. Anger turned into tears as I gathered all of the pieces and headed back to the car. My frown turned into a smile when I opened the door and glanced down at the yellow pad and Cross pen that patiently waited for my attention. In one hand, I tossed the laptop on the seat and with the other, I embraced my faithful companions, hugging them close as I strolled back to the wooden swing and settled in for a lovely afternoon. The transition from rock to paper to laptop has not been easy for some of us. Still, there are benefits to each. Had it not been for the stones that ancient Egyptians carved, much of history would have been lost. Yet hieroglyphics presented many challenges, especially in portability. Paper is readily available, portable and can be treasured for many years, yet it is fragile and fades in time. A laptop stores immense amounts of data, offers unlimited features that transform the written word into works of art, and advances nearly daily in new technology, but with the touch of a delete key, a year’s worth of work can be forever lost into space. I’ve taken small steps to embrace the wonders of digital technology, but I doubt I will ever relinquish the comfort of paper and pen. I love paper and pen. I simply loathe typing on my tablet. I just knew there were others out there. Thanks for letting me know. There are. I’m a writer and I always write on paper first even if I have to transcode it later. You are in good company. The great poet/essayist/farmer Wendell Berry still writes exclusively with paper and pen (or even pencil). As for me, I was first introduced to an Apple PC my senior year of college. I’ve had some fits and starts, but now I write exclusively on my laptop. I try to back-up frequently, but if something freaky happens and I lose something, I figure I can recreate it again better the second time. I’m not familiar with Berry, but you’ve peaked my interests. Thanks for sharing. You probably saved a lot more trees than me. Thanks for sharing. Ah, but you may have saved a lot more electricity and, with it, fossil fuels used to generate it. I agree! To me, writing – and the thoughts that go into it – are also framed by the medium. I am always put in mind of Lord Dunsany, who composed his fantasy novels with a quill pen. To me, it shows in the writing style. With a pen and paper we can create anything. With software, we are limited by the way the programmer thinks. For myself, I use pen and paper to create, plan, and inspire my writing. But I do the composition on computer – variously, a desktop machine with big screen or, in extremis, a laptop. Writing demands space, demands an overview to see the structure. You can’t get that on a computer screen – even the biggest monitor. However, because I write books to publisher contract deadlines, I need the word processing efficiency the computer offers – and I certainly couldn’t have produced the books I have over the years without it. But I sometimes wonder how the style would have been different, had I exclusively used pen, ink, paper and typewriter. Congrats on your successes. Thanks for sharing your thoughts. Congrats on being FP! 🙂 I am the same. I write all notes on a notepad, and carry it everywhere in case I get an idea at any moment. Then, when I have made enough notes, I copy it up onto computer. I just bought a small netbook. I dream of taking it to the park and writing and freeing myself from being tied to a computer desk. Unfortunately, I just can’t seem to get the hang of taking it with me like I can a notebook. I’m sure you’ll step out of the comfort zone some day. Best of luck with that and thanks for sharing. I’ve always enjoyed writing in pen and paper. Maybe that’s because I adore my penmanship so much. I don’t know if it’s my ego talking, but in class I love writing notes, mainly because I want the person next to me ooze over my writing. With that said, my writing has transitioned from the leather-bound notebook to my macbook. I still write in my journal because there’s a space where you speak to you and your conscious only. I also feel that my macbook may betray me someday, since it does only take a click of a button to share all the personal info that’s hiding in the nooks and crannies of my folders. I like my penmanship too. Catholic grade school LOL! Thanks for sharing. One other problem with Laptops, your hands are tied if the batteries run out and you don’t have your charger. In the defense of laptops, it’s easier to edit writing on them. And the internet! But paper and pen still rule. I’m still new to blogging too. Thanks for the encouragement. Made my day. I may end up writing things on a computer, but I always start out with pen and paper. Thanks for the reinforcement! I find it difficult to start something new right away in MS Word, I’d rather start writing on a piece of paper or in a notebook I hardly ever use at school. Eventually, after I’ve writting a few pages, I do feel the urge to continue in Word, because I know I’ll lose the papers… And typing on my laptop is way faster than writing it out, isn’t it? I’m convinced the brain works differently when dealing with either a pen and paper, or a keyboard. If I want to be concise, I type, but when I want to express myself from the heart, it must be a pen, and also, it must be in cursive….. it’s all about flow you see….. Tapping delete just doesn’t hold the same satisfactions as scratching out a word with a pen. There is nothing better than opening an old book with hand drawn pages. Laptops or tablets wont go away, I just hope the gorgeous books never go away and get forgotten. I think there are enough of us out there to keep it going a long time. I’m a fellow pen and paper lover, but I’m finding myself gradually making the transition. My fingers can keep up with my thoughts better on a keyboard. I like paper and pen for my instant artistic gratification – whether it be a lyric for a song, a poem, or notes for literary ideas – then transfer it later to my desktop computer – NOT my laptop! Pen – paper – hardrive. I get it. I totally get it. Although I could download a book for 2.99, I will be going to B&N tonight to buy a hard copy and spend at least three times that. Why? Because I still believe in the power of words printed on paper that you can feel between your fingers. Same here. Just bought five new hardbacks yesterday. I love my laptop, but for me there is nothing that compares to the muted scratch of a fountain pen across paper. Great post, and congratulations on being Freshly Pressed. There is something inherently sensual about a smoothly rolling pen on a blank sheet of paper. They react like old friends as you pick them up again after a short – or long – absence. They can also be an artist’s gravest enemies at times, with blank, staring eyes and unwanted blobs. There’s life in them all their own. I do a combination. I guess it depends on my mood, and as you say, my situation. I never go anywhere without a tiny pad of paper and a pen. I write in my personal journal every morning and that often just transitions into scribbling notes for an essay or a blog post. When I get “serious,” I pull out the laptop and type directly. But being “serious” is overrated! Thanks for your post, and congrats on the Freshly Pressed! As a Nurse Practitioner for almost 18 years, I write so much and have to do it so rapidly, and for many hours a day, that my handwriting is barely legible … so laptop it is for me. 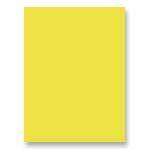 But I love the way your have written about the yellow pad and pen. I’m humbled. Thank you for making my day! i still love paper and pen and nothings ever going to change that. I think you’re right. Thanks for sharing the link. There’s a reason it’s called “writing” and not “typing!” You’re a writer, I’m a writer. Those books we read were written by writers. Keep on scratching away!! Inspiring. I… cannot relate. As a 21 year old, I believe my generation has transposed our cognition completely on the screen… Although penmanship exercises on paper as a young boy brings me nostalgia today, my handwriting has fades as I integrate much of my life into social network gods – – such as WordPress. I admire your honesty and your comfort with social network gods. Thanks for sharing your thoughts. love the paper and pen…something about the smell of the paper…and the ripples caused the writing on it….though I admit, am very fond of the laptop as well…but like a few other things…the pen and paper will never go!!!! Thank goodness for that and thanks for the supporting thoughts. I am one of those people who really hates writing with pen and paper. The Word Processor for me represented freedom from my atrocious handwriting. Now people can focus on the words I write without having to spend a ton of time trying to decipher the scribble. I have gotten to the point where I don’t even enjoy writing anything with pen and paper. Just like the Egyptians ditched a chisel and hammer for writing on papyrus, I have gladly given up my yellow note pad for a computer screen. Sounds like you moved into the fast lane early and are making fast tracks. Thanks for sharing. Isn’t it great to have options? Thanks for sharing & for stopping by. Yes it is! 🙂 Of course, you’re welcome. i’m a kinda pen & paper too i scribble a lot i can relate. nice thought its simple, minimal. For me it really depends on what I’m writing. For short notes or reminders I like paper even though I can create notes and list in my smartphone when on the go. I also keep a blank piece of paper under my keyboard in my office so I can write short notes to myself to be followed up on later. However when taking notes in a meeting, on a conference call, at a seminar, etc. I find the computer to be a god send. In general I find it hard to listen and take notes at the same time, and always found that when I took notes with pen & paper that I missed a lot of what was said making my notes incomplete. I can type faster than I can write, and can always reads my notes after. My typing also keeps pace with my brain whereas my handwriting doesn’t. Like your thoughts here in digital form so we can all enjoy them. I don’t know if it is always better but I do know that none of us could reach so many people without this technology. It does change everything. You are so right. I am overwhelmed with the number of people who have read my post. Thanks for taking the time to share your thoughts. Maybe some day I’ll get there, but not in too big of a hurry. Thanks for sharing. I do a mixture of both laptop and writing notes (at work, and coming home!). But I do find that I type faster and get more done that way. I get hand cramps now, it’s awful! I sooooo can relate. I still keep a 20 lb. stack of journal entries on 40 legal pads stuffed in a box in my closet, a relic from days gone by, when it was the norm to keep a yellow pad by the bed, one on the kitchen table and one on the coffee table – all at the ready to receive inspiration on a moment’s notice. The writing recorded on those yellow legal pads is way too precious for the bus station walls of the internet. It will all stay right where it is, stashed in the sacred webgrrrl cave of my closet on the floor. I do my basic drawing on the drawing board, scan it in, then use photoshop to adjust and color. I find this way convenient as I rarely have use for a hard copy, and I email the finished cartoon or art work to the client. But, I must admit I hate relying on computers. Oh, to be able to draw – what a gift. Thanks for dropping a few lines. Cheers back at ya! Why not both? I use both my laptop and various notebooks/post-it’s/envelopes for my writing and enjoy the diversity, although usually the good stuff gets transcribed to the laptop eventually. That’s the sensible answer – but where’s the fun in being sensible? Thanks for sharing. I also love my notebook and my pens. There’s nothing like the feeling of your pen rolling fluidly across the paper as your thoughts and musings spill forth. They are always in my handbag, at the ready if I suddenly think of something fantastic. They can be small and used anywhere – on the bus, waiting in queue, strolling down a street. But eventually my writings find their way onto the computer in one form or another. Purely and simply because I love sitting in bed before I go to sleep with my laptop on my lap reading and editing my works. Many backup are made in many forms (on the internet, in my email, on my external hard-drive and my actual desktop). Another reason I put it onto the computer is because I need to share my works with others, to get their feedback, and to actually gauge how they are received. Still, I would never give up my pen and paper. They are, after all, the first step to this process. You bet! Thanks for sharing. Apparently there are many of us out there. I suddenly feel part of a wonderful group. Thanks! Ah, one man’s gibberish is another one’s million dollar seller. Thanks. Ocean Paddling sounds like fun. I’ll have to check it out. I am in the notebook business. I must be because I keep collecting fun notebooks that I expect one day to scribble in and create like I used to. Back when that’s what we did. Scads of pads that I should bundle up and put on Craig’s List or drop off at a highs school are taking up space. I love them though. Pen on paper was how I got started. And, the transition was brutal. My first stories are on floppy disks with wp software that can’t even be deciphered now. They really are hieroglyphics on stone. I worry that the clouds will disappear one day as well. Hardcopies, peoples! Until the work is published an sitting on a shelf it’s just not safe. Oh, we have way too much in common – floppies and notebooks decorate my shelves too. Thanks for sharing. Song writing is one of my lofty dreams. Thanks! Loved your post – had to comment, because the like button wasn’t enough…. What a nice thing to say. Thanks! I know exactly what you mean. I still write in a notebook, and I sleep with a small notepad and pen on by bedside since I often wake up to scribble a couple of lines. I’ve wisened up to saving as and back ups, though. Now when I’m done writing, I add it to the notes on my phone and back it up to iCloud. Can’t be too carefu, lol. Thanks for reblogging and the kind words! So true, but what would we do without the internet? I have notebooks scattered all over my home, handbag and car, but I’m afraid I’ve succumbed to modern technology and occasionally write notes on my iphone as well. The shame of it (hangs head). Early morning is great because our minds are uncluttered – you are so right! What a great activity for your students. Bet they love you. Thanks for sharing. Loved this post. I was hooked on to it till the end. Paper and pen have an unexplainable significance in the life of every person who loves to write. It makes me reflect on the difference between a tangible book and an e-book or that between a letter and an email and I must say the book and the letter are treasures…they hold a reminiscence, a beauty, an authenticity. Digital technology had advanced, I agree. Laptops have made a huge amount of work easier but I also know that this cannot ‘touch’ our hearts in the same way as those little things: paper, pen, books and letters could do! I’ve been a ‘typing’ person since I was a kid! I even chose typewriters over handwriting. Then we got our first computer, and I haven’t been able to go back to writing. Especially writing 50,000 words last November for NaNoWriMo–if you were able to do that by hand, I commend you! I clung to my computer like baby to its mother. Glorious. Love this post! Thanks! I didn’t make it very far into November before I gave into the laptop. Right there with you. I can relate. When I re-read my old journals (I kept a journal for 8 years) or poems I can, for the most part, feel exactly how I felt when I wrote them, can remember precisely the things I wished I’d been able write down but felt too scared to write about. Nice to know I’m not the only one who found the transition to the tablet difficult. can you type with your eyes closed, or looking into the distance? That works for me. Also, I keep several backups of my files on at least 3 different continents (in case of a nuclear war). Just to be safe. Sounds like your work is very dear to your heart and well protected. Bravo. I do use my laptop for a lot of things (including my job) but it can never replace paper and pen for me. Holding a pencil or a pen while scribbling on paper just gives me the right feeling.Some things can’t just be left aside. Beautiful post, I really enjoyed it! What an interesting study. It amazes me how many young people today cannot write cursive – another sign of changing times. Thanks for sharing. Now you know I’m going to have to check out your blog just because of the name! There truly is nothing like the feel of writing on paper with a pen. To me it is more permanent that way. You can not simply delete your thoughts as you can on a laptop. I agree completely. It seems to validate my thoughts. Thanks for dropping by. I feel the same way. I still love the style of penmanship. Well, the use of laptop is more easy but I got distracted sometimes. So I consider handwriting notes anyway! Your post is very insightful. BTW. Well deserved in FP. and Congratulations!